Dimensions 1 by 7.75 by 10 in. This outstanding new textbook presents a comprehensive introduction to developmental psychology that is engaging, yet detailed and thorough. Covering all the major topics in child development, the book offers a grounding in the principles which govern research and theory in contemporary child development, and surveys those theories and research methods which are essential to developing a firm knowledge of the field. About: This outstanding new textbook presents a comprehensive introduction to developmental psychology that is engaging, yet detailed and thorough. 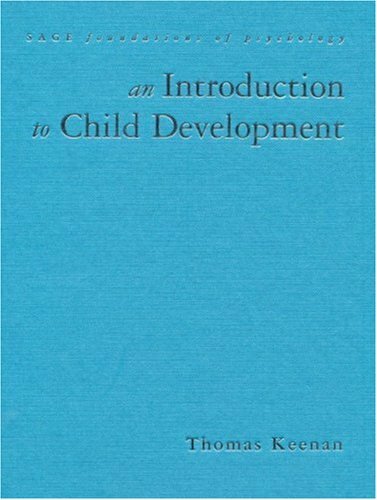 About: An Introduction to Child Development, Second Edition has been fully updated and now includes some new chapters.